Nowadays, finding a TexMex restaurant is as easy as ABC. Being a fan of Mexican food, Jen and I didn’t have a hard time looking for one should the cravings set in. Filipinos and Mexicans have similarities in culture, food and even language due to our common root. Both countries were being inhabited by the Spaniards. This historical trail is evident up to this very time. At Maginhawa street, while eyeing Caffera: Cafe and Camera combined. We intentionally treaded the stretch of this famous street at Sikatuna Village in Quezon City to explore and choose food spots we intend visit in the future. Which obviously made us very hungry. 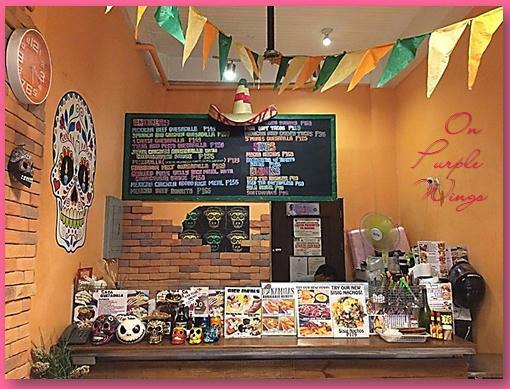 We weren’t surprised to find out that there are a lot of Texmex spots that we can choose from. 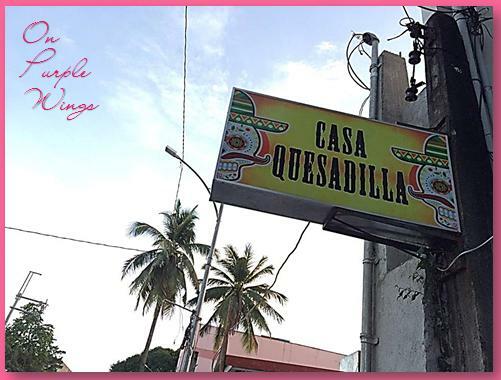 We opted to try Casa Quesadilla. It is easy to be spotted. Jen being crazy with quesadillas, immediately entered the multi-colored entrance of Casa Quesadilla. 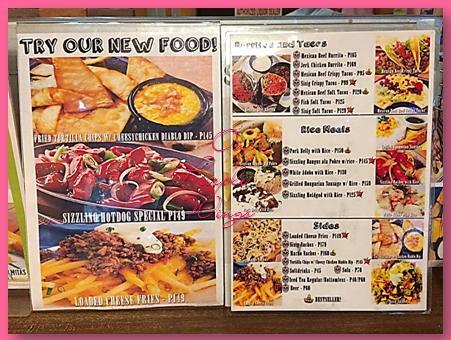 I, on the other hand like quesadillas too but my favorite Mexican food is Chimichangas, though there a few restaurants which offer this, they usually offer Burritos instead. I am good with Burritos but I like Chimis better since the latter has no rice. 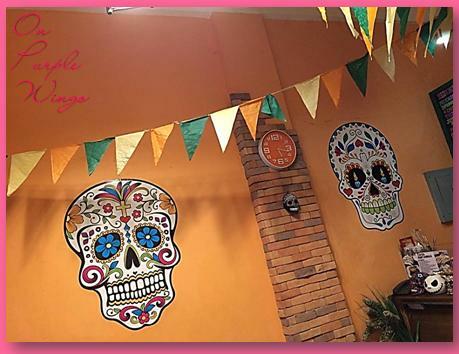 The Casa is like a hole in the wall type of Texmex joint. Still, they have a wide array of recipes to choose from. We just had quesadillas and nachos salad. Quick and light. It took them less than 10 minutes to serve it. I had to use the loo, and I have to pass by their kitchen to get there and I can attest to the cleanliness of their kitchen. The loo is clean too. They also offer alcoholic drinks and there are 2 groups enjoying their drinks outside while we dined inside. 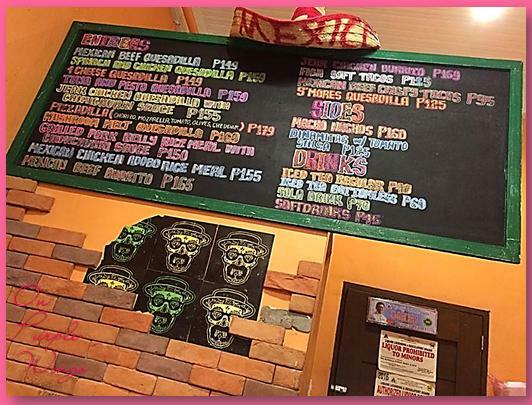 Unli beer from 6pm to 8pm..
And much to our content, their food is satisfying, Texmex is like comfort food to me and Jen. 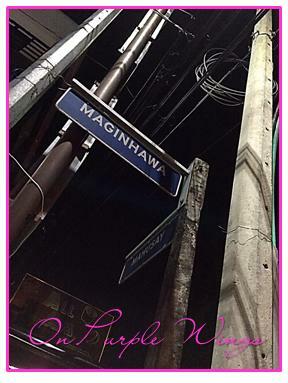 The very popular Maginhawa street.. 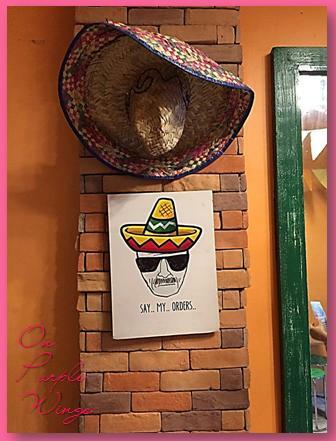 So Jen’s search for the best Mexican restaurant continues. She have been almost annoying telling me several times that we dine at Chili’s. And we did one Friday afternoon on a rainy day. We opted to try the one in Greenbelt as it is the nearest. Broadly speaking, Jen’s excitement is almost like that of a child having her wish granted. Immediately, being the mall rats that we are, we headed straight to the restaurant and resist the shops that used to be so appealing. She is so focused with what we are to order and upon being sitted. And that huge chili too.. It didn’t took us long to decide on what are we going to get. She had them drawn up in her mind the whole time we were walking briskly and heading to Chili’s. I am not so familiar with its’ exact location and it surprised me that she had it close to hand prior to meeting me. My specific preference is something with rice, at past 5pm, I haven’t had my lunch to catch up in a meeting at 2pm. So literally, I’m so famished. Jen’s cravings lead her into getting this humongous burger which they called Old timer burger. It comes with potato fries..
Then, I had my grilled chicken only because of those brocollis. The attendants are keen enough to provide us with our requests. Extra gravy for my chicken..
And extra pickles for Jen’s burger..
Nowadays, it is ironic that these so called millennials, have greatly influenced people of all ages. I am coming from this habit formed to perform activities outside of home over cafes that serve milkshakes, coffee, smoothies, flavored teas, paired with sandwiches, pastas and burgers with varying twists. Millennials are undeniably showing hunger and thirst for change for something unconventional. I think their keywords are freedom and adventure. You will see black burgers which you normally find not so appealing but to its being different are catered and enjoyed by many. As I also observed, the love for coffee has been a strong inclination by Filipinos. The competition from those beans coming from different countries and those beans that are locally grown is truly tight. What’s surprising is that both were thriving. Proofs of these are the numerous hole in the walls establishments taking turns in coming up with something unique. The trend is attractive, the chalkboard menus are everywhere and full of color. Coffee shops, cafes are in all corners. Just in my vicinity, Jen and I have listed a number of cafes to visit so as to verdict which one has the best tasting coffee on top of the aesthetic side that if not present, said cafe will lag behind by those who are bold enough to offer what is sometimes I used to call “out of this world”. Weekends for us are our chance to visit these places. One from the list is Gele’s… It’s a 15 minutes drive from my place. While searching for it, the place looked big in the photos. However, when we get there, it is but a small place that can seat more than 4 groups of 3 to 4 pax. The theme is clean and crisp with touches of nature’s colors. Browns and greens. We just had our drinks to chill and matched them with our staple Mexican favorite. The nacho salad. There was always excitement in our eyes upon the attendant’s arrival handing down our orders. 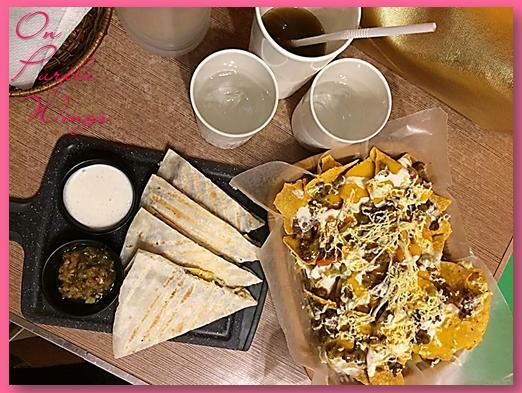 I fell in love with the colored nachos, however, I didn’t like it much since I can taste the onions. It was too strong for me and I wished for more tomatoes. I had Mudslide and Jen had Salty Pop. We both liked our first trys, it was not like those times when you get disappointed with your choice and wished for another. I took them more than 10 minutes to prepare both. Not bad.